Pebbles is a cuddle bug that is always up for an adventure! Her tail never seems to stop wagging with glee and her expressive face will melt your heart. You can read all her emotions just in the adorable way she perks her ears. Her gorgeous eyes truly seem to convey how much she loves you. Although she prefers to be the only animal in the house, she absolutely adores children! She is very well behaved when she's left along, and usually just occupies her time with naps or with her toys. She's also house trained and knows sit! Pebbles loves to run around the backyard, but is also up for a nice jog around the block. Walks can be a pretty entertaining endeavor as she gets a bit distracted by moving objects, specifically squirrels. She thinks they should all be her toys. She loves toys, and when she's playing that is her only focus. She has the most enthusiastic energy and really just loves to play and have fun! This sweet girl is the affection queen! She is so devoted to her people, and prefers to be as close to them as she can be. She is the best napping buddy, and loves to lay her head in your lap. She'll even let you rest your head on her if you're sleepy! Her current foster says she tries to get work done, and if Pebbles jumps up beside her it's nearly impossible to resist putting work away and snuggling. Pebbles' ideal home would have a roomy backyard where she can really stretch those athletic legs. She would also love to have a family that is able to spend lots of time with her, and give her lots of attention. She is so full of love and loyalty and cannot wait to show her forever family just what an amazing companion she is. Come meet Pebbles! Her joy really is contagious! 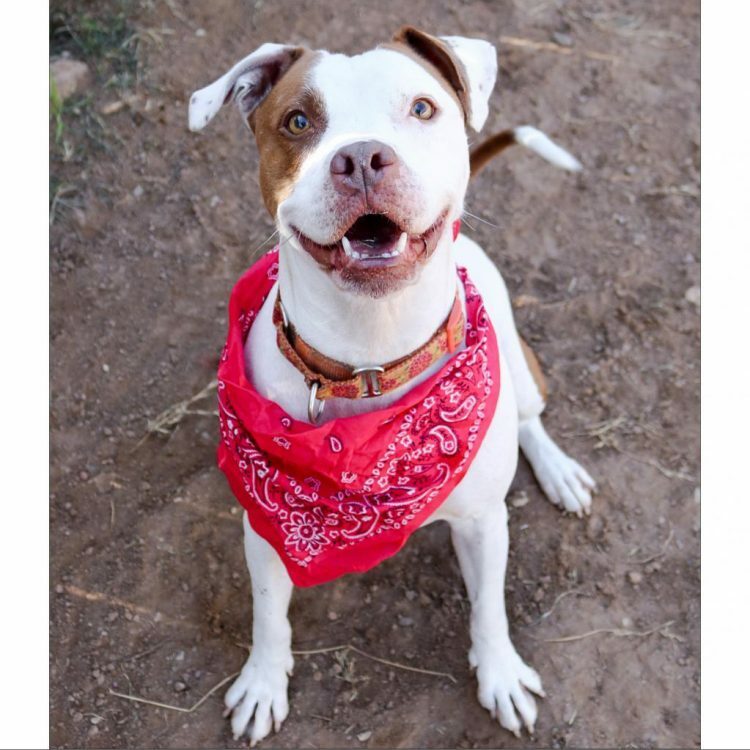 I saw Miss Pebbles (https://www.austinpetsalive.org/adopt/dogs/apa-a-50146) on the Austin Pets Alive! website and would like to request more information.